First, let me say I am not a member of the Baseball Writers' Association of America. I have covered the sport for more than a decade for various newspapers and publications, but my primary employer is not a media outlet so I fail to meet the admission requirements. The only difference between members of the BBWAA and myself is who signs our paychecks. My Hall of Fame selections are hypothetical; no one invited my opinion, but here it is. 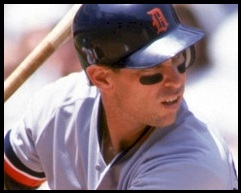 Three players, all worthy in their own way: Alan Trammell, Edgar Martinez and Craig Biggio. The ballot this year is stocked with worthy candidates, but it also is brimming with stories of deceit. Yes, Barry Bonds holds the all-time home run record, but how many of his 762 blasts were hit after he began using performance-enhancing drugs? I do not know and neither do you and that is what makes this ballot so convoluted. When we look back years from now it would not be a surprise to see more than 10 players from the current crop enshrined in Cooperstown, but I can not bring myself right now to support players those players that clearly are linked to cheating. If Bonds and Roger Clemens gain entry than how can we still deny Pete Rose and Joe Jackson? Sorry, but the argument that Bonds and Clemens were Hall of Fame caliber players before taking PED's just is not good enough. Rose and Jackson were Hall of Fame material before they fell to scandal, yet neither has a plaque in Cooperstown. Bonds and Clemens, along with several other players on the ballot, cheated. In my mind, their potential enshrinement diminishes the intrinsic value of the Hall of Fame. I am not implying the BBWAA act as judge and jury, but as a voting body comprised of competent journalists it should have internally discussed the steroid issue and the proper handling of votes for such players years ago. Instead, we sit teetering on a ledge that may significantly alter how we view the Hall of Fame. Speaking with other writers, it appears the individualistic way to demonstrate frustration with the situation is to cast a blank ballot. Last year 573 ballots were returned to the Hall of Fame - nine were blank. More than a dozen blank ballots are expected this year. "It's a form of protest because we just don't know who was using what," said one BBWAA writer. "It may sound foolish, but it says something by not saying nothing at all." As for my votes, I examined the career figures for each player and compared their rank in various statistical categories to the best at their respective positions. Trammell and Biggio clearly rank among the best in the past 50 years at their positions and Martinez defined the role of the designated hitter. Also, all three are well respected by writers and peers - each the quintessential definition of a professional. Fred McGriff, Dale Murphy, Lee Smith, Don Mattingly and Tim Raines were all on my radar but fell short for various reasons. All five were solid players, but none were extraordinary or defined a generation at a specific position.